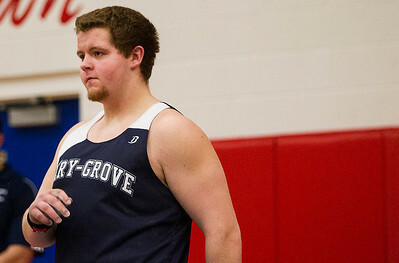 Kyle Grillot - kgrillot@shawmedia.com Cary-Grove's Ricky Hurley competes in the shot put during the FVC Indoor boys track and field meet at Dundee-Crown Tuesday, March 19, 2014. Hurley won the event with a personal record of 57' 1/2". Kyle Grillot - kgrillot@shawmedia.com Crystal Lake Central's Ryan Pitner (right) tries to catch up to Huntley's Keagan Smith in the final lap of the 1600-meter race during the FVC Indoor boys track and field meet at Dundee-Crown Tuesday, March 19, 2014. 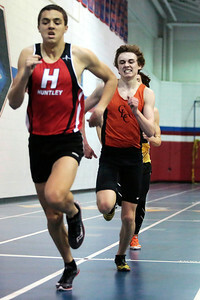 Pitner came in second in the 1600-meter, but won the 3200-meter earlier in the night. 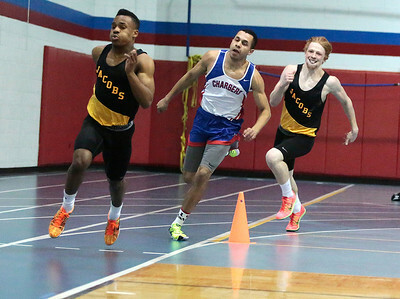 Kyle Grillot - kgrillot@shawmedia.com Jacobs' Josh Walker (from left), Dundee-Crown's Austin White, and Jacob's Nick Gierlake compete in the 200-meter dash during the FVC Indoor boys track and field meet at Dundee-Crown Tuesday, March 19, 2014. Walker won the race with a time of 24.69. Kyle Grillot - kgrillot@shawmedia.com Jacobs' Josh Walker talks with an official about the location of the finish line before the 200-meter dash during the FVC Indoor boys track and field meet at Dundee-Crown Tuesday, March 19, 2014. Walker won the race with a time of 24.69. Kyle Grillot - kgrillot@shawmedia.com McHenry's Kyle Postal competes in the high jump event during the FVC Indoor boys track and field meet at Dundee-Crown Tuesday, March 19, 2014. 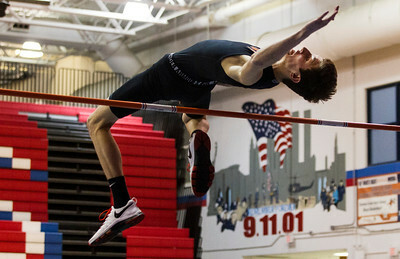 Postal won the event with a height of 6' 4". 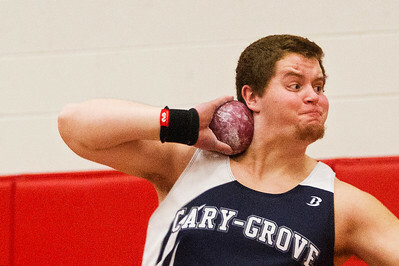 Cary-Grove's Ricky Hurley competes in the shot put during the FVC Indoor boys track and field meet at Dundee-Crown Tuesday, March 19, 2014. Hurley won the event with a personal record of 57' 1/2".